I am in Takoradi, Ghana now; I did a sudden rush to use my expiring visa run to Ghana, and left Lome, Togo yesterday. Truly, travel in West Africa is crazy for Visas. Travel in West Africa is has become more difficult in the last few years, it feels as if West Africa wants to stop travel or tourism, it continually becomes more complicated, not easier. 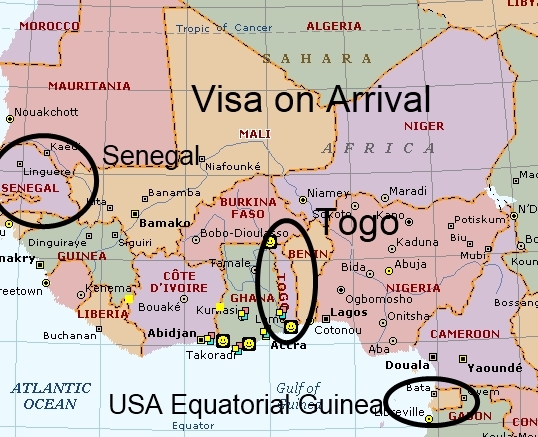 Maybe any developed country can fly to Senegal or Togo and get a Visa on Arrival that works, and USA citizen’s maybe can fly to Equatorial, Guinea. USA people used to be able to fly into Abidjan, Cote d’Ivoire, but they stopped that a year ago. West Africa is not making any sense for tourism; they are making life for India and Lebanese people in a way, and trying to gouge the developed world where the big money resides for tourism. The present system is only good for one country tourism. I am thinking, maybe I send my USA passport from Togo to Washington DC with DHL overnight which takes three days or more. I then use Abriggs.com, pay them a fee and they get the Visa for me in Washington DC. Expensive, but effective, and I used this company to get the Cote d’Ivoire Visa, I know they work and are professional. The would overnight it back, this would take about two weeks, then hopefully I get the passport back. If not, I become a person who lost their passport. It is risky to send my Visa by DHL, the company is half-crooked, and will come up with fees for strange reason. I am thinking about cutting open a book, and putting the passport inside a hidden cut out area in a book, to hide it. Comparing size of the USA to West Africa? Multiple country trips in West Africa makes good tourist sense. Do tourists go to Europe and only visit one country? 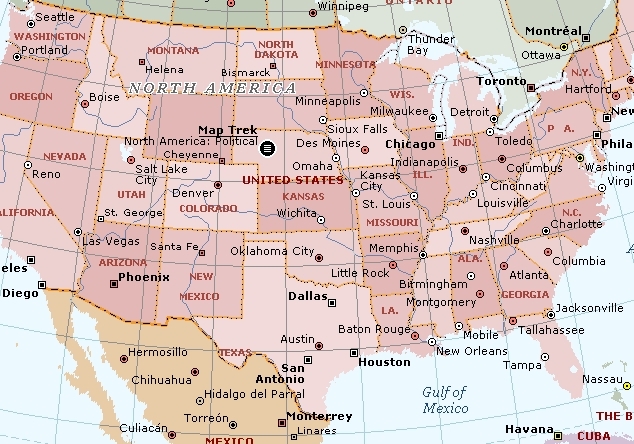 Do European tourists travel to the USA and only visit one state? I am not sure, but to pay for incredibly expensive plane tickets to West Africa, then go on Safari is nuts in West Africa. Please, West Africa ate all their animals, there are just small animals here. We have a country called "Ivory Coast" with no elephants. There is almost zero to see in West Africa for tourist, their true value in coming it to say, I was in 4-5 countries. Girls is a good reason for Cote d’Ivoire, Ghana, Togo, and Benin, but they should not be promoting this, this is a not a good idea. What is easy to do right now it "Poverty Tourism," to come to Ghana and say? "These people are so poor, wow, we need to help them." Projects and give me money tourism thrives; telling the whole world, we are poor, come and visit, and this advertising scares away all mainstream tourism. The only photos the majority of people see about Africa are wars, genocide and poverty. I have 30 days of travel for Ghana, I will need to get all my Visas in Accra arranged, and truly, I am spending a lot of time working on Visas. Nigeria wants me to return home to the USA to get a visa, this is not possible, and I am hoping they make some extra fee (hehehe) visa. If they only give me a Transit Visa, then I need a Cameroon Visa to exit Nigeria. I could fly to Senegal, do all the small midget countries, and then fry from Cape Verde to Brazil, providing I can find a Brazil Embassy in a one of the countries. I am always trying to avoid a 1500 - 2000 one-way plane ticket to exit Africa. We are working on the Hobo Social network called "My Hobo." This is my Profile; helpful suggestions on how to evolve this are wanted. I like Gadgets, therefore my Hobo name is "Gadget is Andy Graham the Hobo"
Please help My Hobo with your personal opinions, write me direct, or I can call you by telephone. I want to know how we at HoboTraveler.com can help you, what do you want to do by joining our network? Do you want to be able to contact other travelers? Profile your webpage, put up 50 photos, make list of countries, what do you want? Johnny the private pilot is talking again about coming, he would fly into Togo, but now I realize we cannot go to Ghana, where this USA, non-French speaking person could speak English. I got a ride from an angry Lebanese man who paid for a Visa and they somehow lost his application and kept the money at the Ghana Embassy. He said in very bad English. "Africa good one day, next day bad"
It is like the rain, you never know what will happen the next day, this is normal for me, this is my life, this is my rush, but for tourist, this is not what they want or need. 95 percent of the time, I arrive in any city before 2:00 pm; this allows me to find rooms without a reservation. Well, I made this 10-hour trip from Lome, to Takoradi yesterday, I was not able to leave Lome until about 10:00 am, and I arrived at the Amenla Hotel at 8:00. The brain-dead night reception guy says there are no rooms; I try to ask some questions. And in typical African business, there are no rooms, therefore there is no reason to talk mentality. I went to the every crazy Arvo Hotel, closer to the market, and was lucky to find a room. I had to really push for a good room. It is the custom of Hotel to take tourist to the worst rooms in the Hotels and try to say, this is the only room. The man showed me a horrible room, I say, I do not want it, do you another and he lied. "No, this is the only one." I went down, and said, I want another room, the man gives me the keys to another room, it is amazing how this country who says they are religious continuously will lie continually for stupid reasons. It would be easy to be great in Ghana, just do the minimums. I want to know why my computer gives my stomach an electrical charge sometimes. I will put the computer on my belly while lying in bed and it will give me a small charge. I am in Ghana to get Visa, to go to Elubo again to meet Cynthia and travel with her, and to make Skype.com using the Internet by way of the MTN USB Wireless Modem. Just one hair faster than the Togo Wireless network and Skype is better.